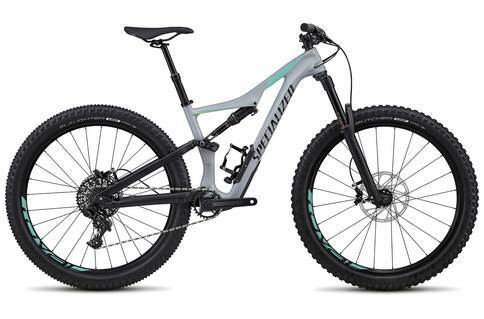 The mission of the Rhyme Comp Carbon 6Fattie/29 is pretty simple—give female riders the best performing trail bike out there. 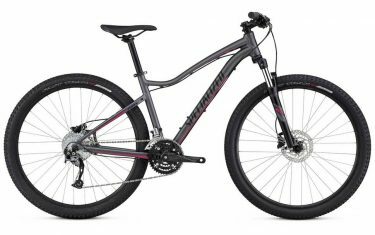 The mission of the Rhyme Comp Carbon 6Fattie/29 is pretty simple—give female riders the best performing trail bike out there. And to make sure of it, we gave it our proprietary trail shock tune for women, Women’s Rx Tune, that’s tailored to give you the best suspension performance possible. To start, it lives by the philosophy that more tire volume results in more speed. It might be a claim that sounds flipped on its head, but one ride and it’ll have you shouting this sentiment from the rooftops. Our 6Fattie Wheel/Tire System puts out more traction, more floatation, and better handling without sacrificing anything to efficiency on climbs. This system also allows you the opportunity to toggle between 29-inch wheels (not included) and 6Fattie wheels, allowing the ultimate in configuration options for the trail at hand. And with the philosophy of the design out of the way, it came time to solidify its place as a proper trail machine. It features our FACT 9m carbon fibre for the bulk of the construction in order to provide an ultra-lightweight, strong, and stiff frame. The carbon moulding process also allowed us to revolutionize how you carry your trail essentials with the revolutionary SWAT™ Door found at the down tube. This compartment will fit a tube, a tool, and pump without rattling or compromising the structural integrity of the frame. 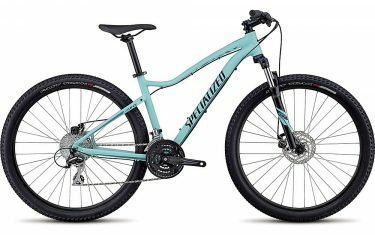 When you factor in a build spec that has SRAM’s 11-speed GX one-by shifting, powerful Guide R hydraulic disc brakes, a RockShox Revelation RC fork with 150mm of travel, and a whole host of women’s-specific components, from the saddle to the custom-tuned RockShox Monarch RT shock, you have a bike that will have you never looking back—unless it’s to see the girls eating your dust.